Picture the offerings at a food bank and you'll likely think of canned, highly processed items with a lot of salt and a long shelf life. And it's true, says Catherine D'Amato, CEO of the Greater Boston Food Bank. "Twenty years ago, we couldn't move a carrot. It wasn't in our culture, it wasn't in our commitment." But now, she says, food banks have evolved, and fresh, more health-conscious food has become a priority. The idea that "food is medicine, food is health" is more mainstream, D'Amato says. "Walk into one of our member pantries now, and it looks like a Whole Foods." While it may seem obvious that a diet rich in fruits and vegetables is good for people’s health, it’s only recently that food banks and other hunger relief groups, as well as a growing number of startups, are explicitly thinking of themselves as part of the health care system. 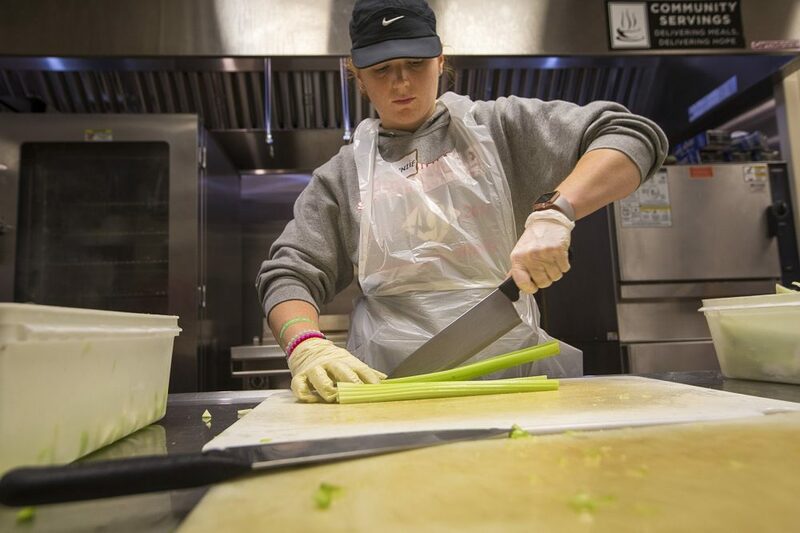 At the same time, health care providers, motivated in part by new payment incentives that prioritize patients' health over excessive medical interventions, are now acknowledging the importance of fresh, accessible food to treat and prevent disease. "Now for the first time in the U.S. and in Boston, incentives are in place for certain health systems to be concerned about the nutritional aspects of their patients' care because they hold the financial risk," says Lauren Taylor, a Ph.D. student in health policy and management at Harvard Business School, who studies nutrition and health care. "Health care providers and food banks always knew in some abstract way that they were working for the same cause," she added. "But now that those providers are paid to create health and not just deliver medical care, there are financial incentives to join forces in an operational way." The Greater Boston Food Bank announced last year that it was the first major food bank in the country to hire a medical doctor. Small companies are proliferating in the "food as medicine" space. 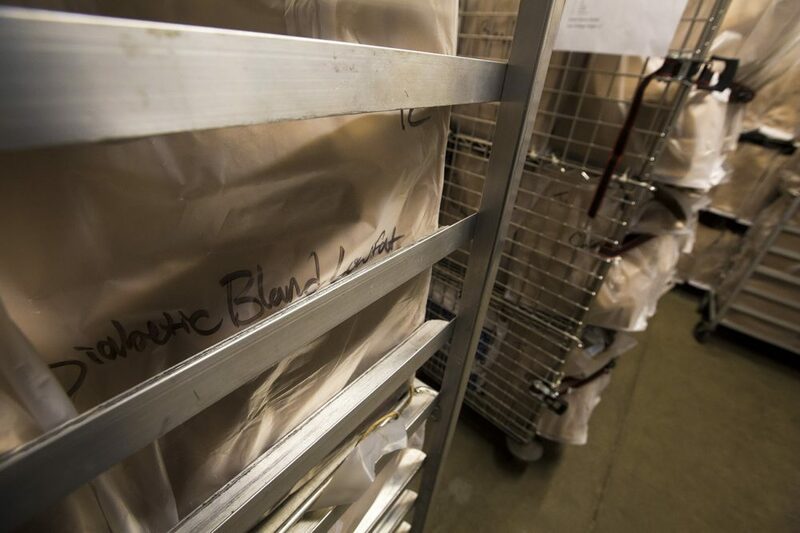 David Waters, CEO of the local nonprofit Community Servings — which delivers "medically tailored" meals to chronically ill, homebound patients — says within the past few years, he's noticed a dramatic shift in how his organization is perceived. As an anti-hunger agency, he says, "no one in health care wanted to talk to us. "Now, we've become the hot thing. We've gone from an anti-hunger organization to a health care startup." In her first year at the Greater Boston Food Bank, Dr. Kathryn Brodowski, a preventive medicine physician, launched a public health initiative aimed at improving patients' health and, ultimately, lowering health care costs. Acknowledging that "hunger and health are intertwined," Brodowski wants to address the health woes connected to food insecurity — not having reliable access to food — which afflicts about 48 million people in the U.S. and 745,000 in Massachusetts, according to reports. "We know that food insecurity is linked to chronic disease in both adults and children," she says. "Health care and hunger relief organizations are natural allies and we need to engage with this sector." As part of the initiative, Brodowski rolled out free, monthly mobile farmer's markets at several local community health centers that serve low-income patients. Volunteers set up tables overflowing with six to eight varieties of fresh fruits and vegetables — beets and string beans, lettuce, tangerines, apples and grapes — distributed by the food bank. Any patient from the health center (whether they are "prescribed" produce by their doctor, or learn about the market from the center’s staff) can collect up to 25 pounds of free fruits and vegetables per family at a time. About 11 percent of the market's produce is purchased by the food bank through the state Emergency Food Assistance Program, while 89 percent of the goods are donated by farmers, retailers and others. At the Charles River Community Health center in Brighton this week, administrators opened the market early due to long lines, with patients and their families arriving more than an hour before the start time. Martha Alvarez, 73, has been a clinic patient for years and is a regular at the farmer's market. She has diabetes, high blood pressure and cholesterol and says the regular dose of produce helps her manage her medical issues. "I'm under control because I take care of myself," says Alvarez, who used to work cleaning houses and providing childcare. "I'm retired, I have Social Security, but it's not enough. This is a lot of help." Blanca Gutierrez, who cleans offices part-time, is 53 with high blood pressure, among other health problems. Speaking in Spanish through a translator, she says the free monthly markets give her a boost health-wise. Using the produce to cook dishes like squash soup and celery salad, Gutierrez has lost 10 pounds, she says. It has also helped her financially. "There are weeks that you have to pay your rent ... and there is not enough money left to buy food," she says. "So this is like, from heaven. It helps." Doctors say the farmer's market has improved their ability to treat patients. 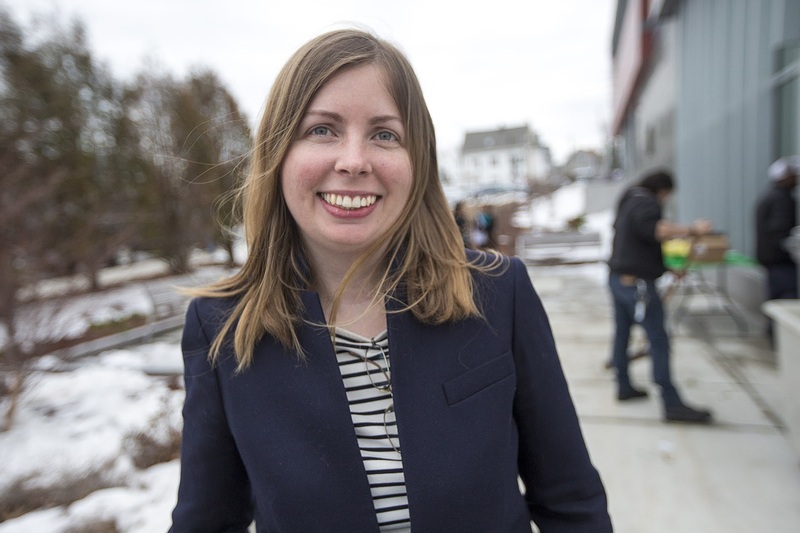 Dr. Elizabeth Quinn, a family physician in Lynn, who until recently worked at the Greater Lawrence Family Health Center, used to feel "frustrated" tending to a patient with uncontrolled diabetes and hypertension. "Every visit with him I felt like I was talking past him. Why adjust medications he couldn't afford? Why would he keep coming back if I couldn't actually improve his health? We were both frustrated," she wrote in a Facebook post. When the food bank-sponsored farmer's markets began at the Lawrence health center, Quinn helped her patient register and watched as he began collecting his fresh produce regularly. "I finally felt like I was treating his diabetes," she said in an interview. "His blood sugar stabilized for the first time in years. Offering my patients access to food has made me a better doctor." The food bank and health centers are also collecting data to try to improve care. When patients arrive at the market, each is screened for food insecurity using what's known as the "Hunger Vital Sign." They're asked to think about the last 12 months and answer two questions: "Are you worried about running out of food and not being able to buy more?" or, "Have you actually run out of food and been unable to buy more?" Administrators say they found more families struggling than they thought. -- At Charles River Community Health, 91 percent of patients who registered for the mobile market screened positive for food insecurity. 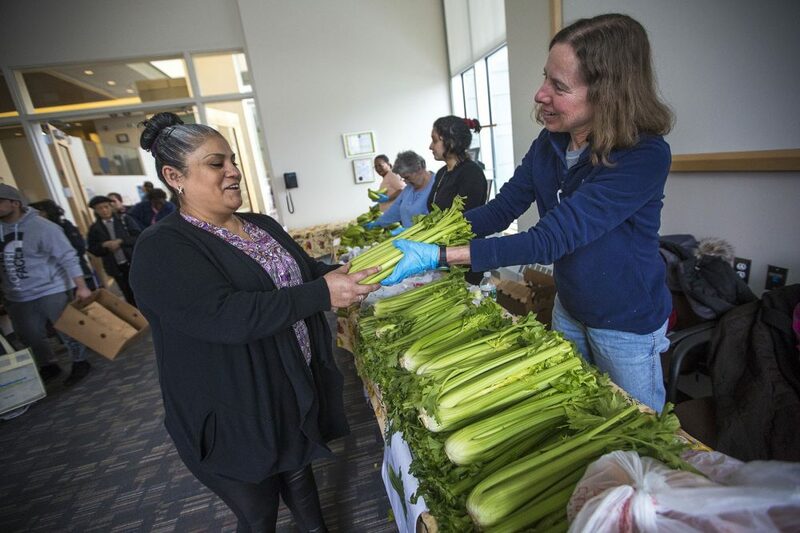 -- At the Greater Lawrence Family Health Center, among 1,200 patients screened for food insecurity, 67 percent screened positive — that's six times higher compared to levels in eastern Massachusetts. This information is also now part of these patients' electronic medical records at the clinic. -- At SSTAR Family Health Care Center in Fall River, the food bank found 59 percent of patients at the addiction clinic were food insecure. Families in food-insecure households are more likely to report poor physical and mental health, according to a report in the Journal of Nutrition. They are also more likely to be at higher risks for chronic diseases like obesity, hypertension and diabetes. A recent review article by researchers at Boston Medical Center, which has had a "preventive food pantry" on site for patients since 2001, found food insecurity among children is associated with a range of health and developmental problems. "Even at marginal levels," the study says, household food insecurity "is associated with children's behavioral, academic, and emotional problems from infancy to adolescence across western industrialized countries ..."
Another report concluded that food insecurity cost the U.S. health system about $160 billion annually. "The thing about food insecurity is that it's invisible," says Dr. Deborah Frank, author of the study and a pediatrician who runs the Grow Clinic for Children at BMC. "You can't snap a poster child, but like most invisible health risks, it's widely prevalent." This growing awareness about health problems related to food insecurity is spurring food banks across the nation to act, says Kim Prendergast, a Boston-based public health consultant for Feeding America, a consortium of the largest food banks across the country. Some food banks are experimenting with food boxes tailored specifically to people with diabetes. Others are investigating the links between lack of food and other conditions ranging from depression and high blood pressure to high-risk pregnancy. And there's been a dramatic shift in the types of food offered. 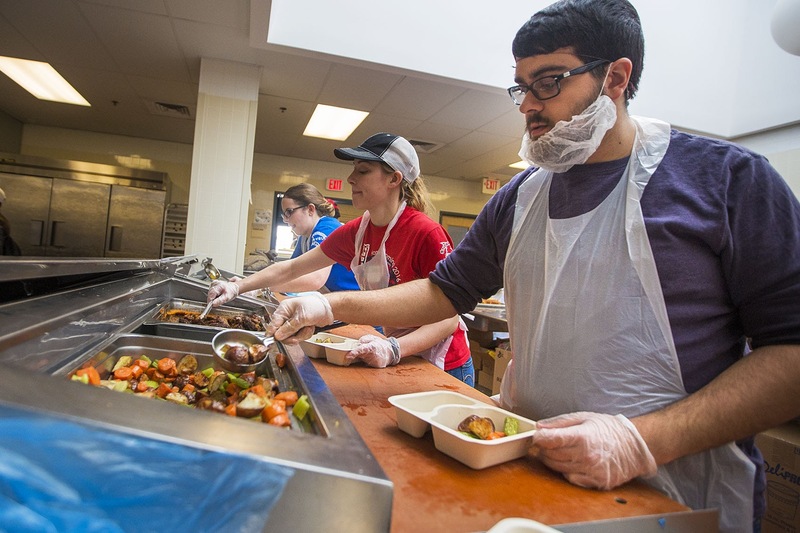 About 30 percent of the 57 million pounds of food distributed last year by the Greater Boston Food Bank, for instance, was fresh produce and 50 percent included perishables like milk, meat and eggs. And that shift away from canned goods toward more produce and perishables has been driven in large part by demands from food pantries, shelters, meal programs and the families they serve. In recent years, national groups have also weighed in. In 2015, the American Academy of Pediatrics recommended all children be screened for food insecurity. The U.S. Centers for Medicare and Medicaid Services is currently evaluating various programs that address food insecurity as part of its Accountable Health Communities model. Locally, the Boston nonprofit Community Servings won a $358,000 grant from the Robert Wood Johnson Foundation to analyze the benefits of its program, which delivers "prescription meals" made from scratch to patients who are very sick — with HIV-AIDS, diabetes, cancer, kidney disease and other serious illnesses — and have strict dietary requirements. Specifically, the study is looking at whether the patients receiving these medically tailored meals have lower rates of hospitalizations, fewer ER visits and lower overall health costs compared to similar patients not fed through the program. Dr. Seth Berkowitz, an internist at Massachusetts General Hospital leading the new study, says that as health care models increasingly offer incentives to keep people out of the hospital, Community Servings is getting more attention as a potential low-cost medical intervention. Kimberly Scarlett, of Dorchester, has lung cancer, diabetes and other health problems that make it hard for her get around. When Scarlett broke her foot last year, she was unable to shop and cook for her kids. A social worker connected her to Community Servings. Now, she says, the weekly deliveries, including dishes like citrus skate with steamed turmeric barley and vegetables or wild mushroom and white bean stroganoff, have helped her lose weight and get her diabetes under better control. "I like the fish, I like all the soups ... and I love the beef that they give," she says. Scarlett's two sons, 18 and 15, also eagerly await the deliveries, she says, and recently, "they were arguing over the buffalo chicken." Community Servings isn't new. 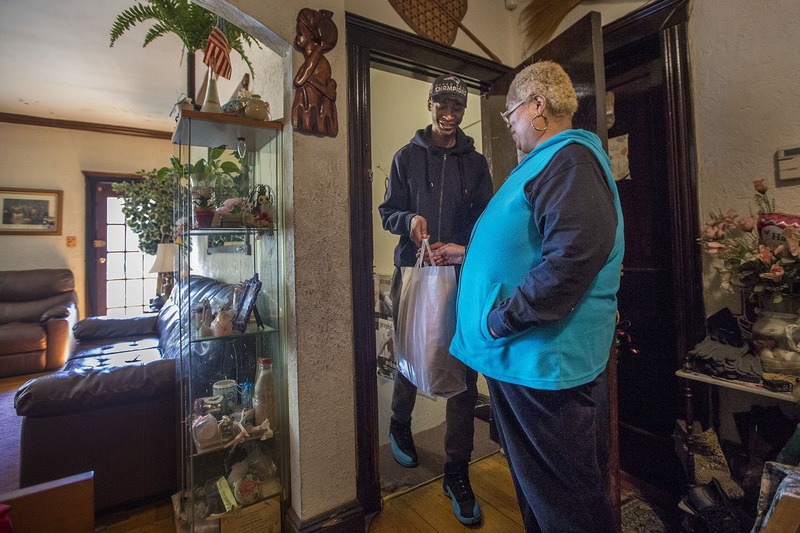 It's been around for more than 25 years — beginning as a food delivery service for people with HIV-AIDS, when "food was the only medicine," says Waters, the CEO. But now, he says, the organization is increasingly seen as providing a critical service that fills a gap in health care. Community Servings currently contracts with several organizations, including Commonwealth Care Alliance, a full-service provider of medical care and social support for chronically sick, elderly patients with complex medical needs. With the current study, Waters said, the group hopes to expand its reach. 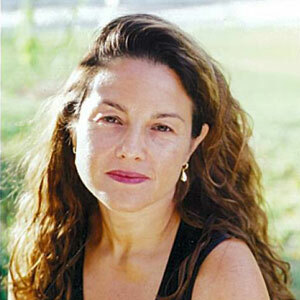 "We all know intuitively that if you feed a sick person, they're going to do better. But if we can actually document return on investment, then we can make the business argument to health insurers, hospitals, accountable care organizations that they ought to be hiring us to feed people," Waters said. Smaller "food-as-medicine" startups are also emerging. One, called Fresh Truck, is a converted school bus that works with health centers and medical groups to bring healthy produce to patients with limited access. Josh Trautwein, Fresh Truck's co-founder, dreamed up the business while working as a nutrition education coordinator in Charlestown when the neighborhood's only grocery store shut down. The shift in thinking that envisions fresh food as a way to fight and prevent disease "is a game changer," says Trautwein. "The notion of food as medicine has been around for a long time -- dating back to Hippocrates — but it's only catching on as a mainstream concept in healthcare." As part of Fresh Truck's Food Rx program, medical groups, including the South End Community Health Center, among others, purchase gift cards or coupons for patients. Every Friday, the school bus pulls up outside the health center and becomes a miniature market. Fresh Truck is planning to expand: it was the featured startup at a recent "tinker night" hosted by Food + Future, a collaboration between Target, the MIT Media Lab, the design firm IDEO and Intel. Over craft beer and snacks, local engineers and food policy students brainstormed about how to reconfigure the school bus-turned-market with a more sophisticated refrigeration system and how to elevate customers' shopping experience. Bringing food to patients who need the health benefits is what motivates Kevin Conner, executive chef at Community Servings. After years working as a chef at local restaurants, he says he's only recently grasped the true power of food. "I come from a background of French cooking — so there's a lot of fat, there's a lot of luxurious things," he said. "But I've learned more here in two years than I did working in restaurants for 10 years. "I really learned how food can heal." This segment aired on April 4, 2017.